Spy shots show digital dash for new BMW due to debut at Le Mans in June. 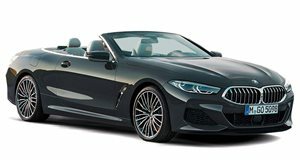 BMW's latest big car, the 8 Series Coupe and Convertible, has been caught by spies in Germany wearing a little less camouflage than we've seen previously. As interesting as the 8 Series' exterior design may be, our spy was adventurous enough to run up to the side of the Coupe and nab a few shots of its instrument panel, which now features completely digital gauges thanks to a wide format TFT screen. The new BMW 8 Series will debut this June at Le Mans, reports . The latest round of 8 Series spy shots depict it in M Sport guise with more aggressive front- and rear-end treatments. A 4.4-liter V8 with over 600 horsepower and a range-topping V12 could be lurking beneath their hoods. A more mild 3.0-liter inline-6 turbo engine will likely motivate the base model 8 Series. 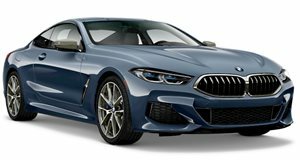 While only the coupe and ragtop are pictured here, Gran Coupe and M8 models all but certain considering BMW's reveal of the in Geneva last month. Unlike the official "spy" shots from BMW, these new images show deep cuts in the lower rear fascia at the corners and trapezoidal exhaust cutouts in the bumper. These cars might be the M versions considering their blue brake calipers, a telltale sign of BMW's M cars. This isn't the first time we've seen the 8 Series testing in the wild. Just over a week ago, putting in some miles around Green Hell.